The U.S. Defense Advanced Research Projects Agency (DARPA) has awarded BAE Systems (News - Alert) a Phase 3 contract worth $3.1 million to continue developing autonomy software to improve the resiliency of air mission planning for the military. The program, called Resilient Synchronized Planning and Assessment for the Contested Environment (RSPACE), seeks to develop human-centered software decision aids that can assist air operators to better control daily operations in a complex battlespace. 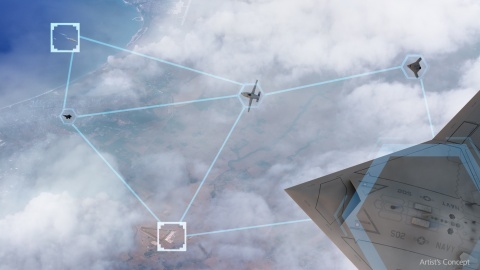 In response to this need, and as part of the RSPACE program, BAE Systems created software called the Distributed, Interactive, Command-and-Control Tool (DIRECT) to improve air battlespace awareness. Using assessment analytics, the software provides an easy-to-use, visual interface to generate real-time alerts so operators can evaluate areas of concern during the planning and execution of a mission. The software also automatically adjusts to minimize bandwidth when communications are limited and unreliable to assist in mission continuity and completion. "New users have found DIRECT easy to learn, indicating we are well on our way to providing a software decision aid that will help planners adapt to plan changes, make real-time decisions faster, and more effectively execute their missions," said Chris Eisenbies, product line director of the Autonomy (News - Alert), Controls, and Estimation group at BAE Systems. Created by the research and development team at BAE Systems, DIRECT is part of the company's autonomy technology portfolio. Work for the RSPACE program is being performed at the company's facilities in Burlington, Massachusetts, and Arlington, Virginia. The program also includes teammate Uncharted Software Inc.